Posted: Oct 05, 2009 12:23 Post subject: Favourite Fluorites? Posted: Oct 05, 2009 12:34 Post subject: Re: For the fluorite lovers: What are your favourite localities? Posted: Oct 05, 2009 12:44 Post subject: Re: For the fluorite lovers: What are your favourite localities? You mention a mixture of individual mines and mining districts. For example, the Southern Illinois Fluorspar District had many specimen-producing mines, including the Denton, Minerva #1, Annabel Lee to name a few. On the other hand, the Rogerley is only one of many mines that have produced very good specimens from the North Pennines Orefield, centered on the Weardale region of Northern England. For obvious reasons, I have a certain fondness for the Rogerley. 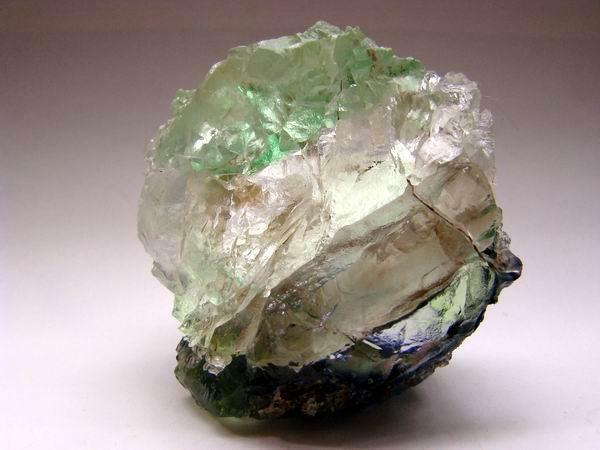 However, I think the Boltsburn Mine produced by far the most spectacular fluorite specimens to come from the region, and perhaps ranks (in my mind, at least) as one of the world's premiere locations for the mineral. Unfortunately, the mine closed in 1931. Another North Pennines location, the Rotherhope Fell mine also produced some spectacular specimens in the 1920s and 1930s. It's production was nowhere near that of the Boltsburn mine and it remains a relatively known location to collectors outside the UK. 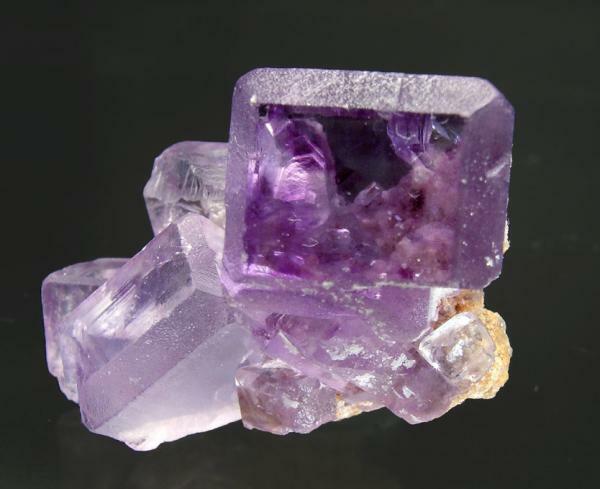 Posted: Oct 05, 2009 12:59 Post subject: Re: For the fluorite lovers: What are your favourite localities? Posted: Oct 05, 2009 13:02 Post subject: Re: For the fluorite lovers: What are your favourite localities? Posted: Oct 05, 2009 13:21 Post subject: Re: For the fluorite lovers: What are your favourite localities? Here a fair colored fluorite from the Erongo Mountain with some Muscovite. Until date Erongo still delivers some of the most amazing and different fluorite finds in Namibia. 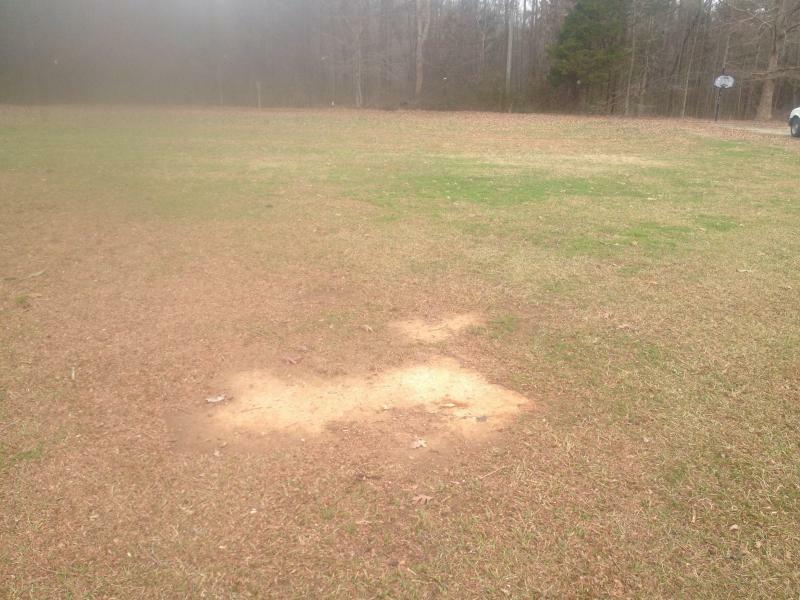 Pictured specimen is approx. 4x3cm in size / end 2007. Posted: Oct 05, 2009 13:24 Post subject: Re: For the fluorite lovers: What are your favourite localities? Posted: Oct 05, 2009 13:30 Post subject: Re: For the fluorite lovers: What are your favourite localities? 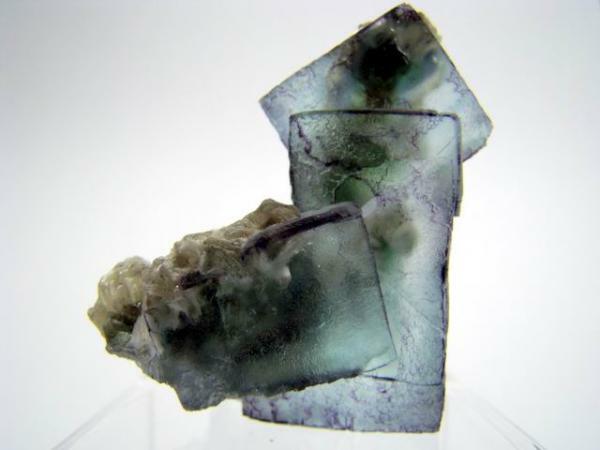 Posted: Oct 05, 2009 14:10 Post subject: Re: For the fluorite lovers: What are your favourite localities? Ah.... you forgot the Hilton Mine. Posted: Oct 05, 2009 15:04 Post subject: Re: For the fluorite lovers: What are your favourite localities? By the way, the original list of 10 localities must have been a metric list because there were 11. Posted: Oct 05, 2009 15:30 Post subject: Re: For the fluorite lovers: What are your favourite localities? Posted: Oct 05, 2009 16:51 Post subject: Re: For the fluorite lovers: What are your favourite localities? 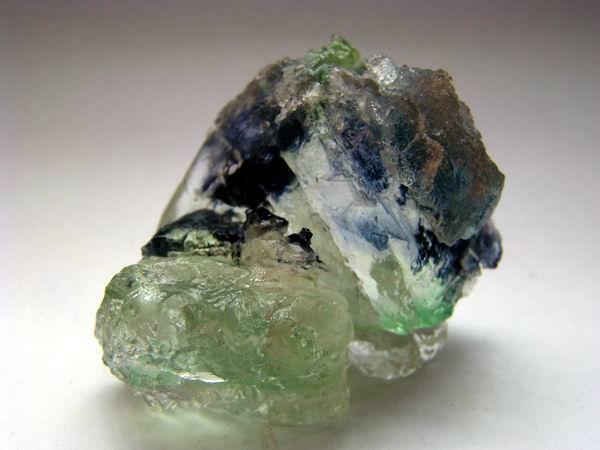 Posted: Oct 05, 2009 17:38 Post subject: Re: For the fluorite lovers: What are your favourite localities? Hi Roger, Clara Mine is indeed great (not only for fluorites, of course), and the Moroccan localities you mention are also fine, especially El Hamam. 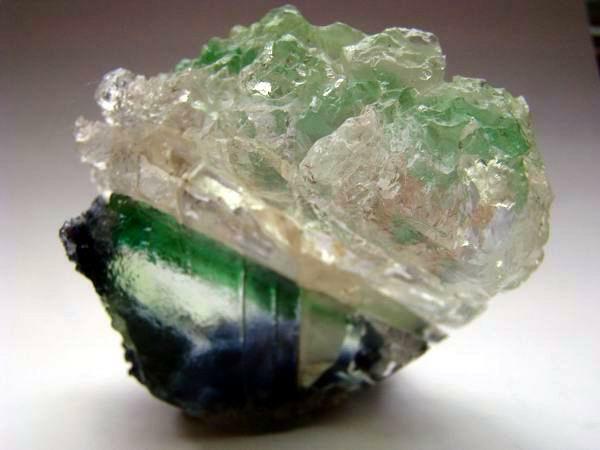 Posted: Oct 05, 2009 18:07 Post subject: Re: For the fluorite lovers: What are your favourite localities? It's a cop-out to just say "China", but without consulting references I wouldn't feel qualified to attempt to name (or, to spell!) the numerous good locallities there. And I thought I'd add Derbyshire for its classic occurrence of banded fluorite, even if not known for fine crystals. I was pleased to see that you, Tobias, had the Blanchard mine on your list, because I would also rate it such, but when one has close proximity and familiarity with a locality, it's hard to be certain if you are judging it objectively, or over-rating it because of your personal interest. For a #11 on my list, another "local" locality that I'd consider, are the occurrences of purple fluorite at Pine Canyon, West Burro Mountains, Grant County, New Mexico. Posted: Oct 06, 2009 02:11 Post subject: Re: For the fluorite lovers: What are your favourite localities? Tobias, as you proposed the topic, could you please take charge of it? If yes, please control the evolution of the thread, prepare a list when you suppose that the arrivals of new localities are enough, publish the definitive list and then collect the votes of FMF members. I suggest to use "mp" to send the votes in order don't fill the Forum with the votes of every member, and I also suggest to vote 5 localities in order of priority, then Tobias should just cross the votes to get the final result. Posted: Oct 06, 2009 03:51 Post subject: Re: For the fluorite lovers: What are your favourite localities? @Pete: I'm glad that there is someone else who appreciates the fluorites from Blanchard Mine, i just wonder why there are not much more. To me the blue fluorites on matrix from the Blanchard Mine are among the most beautiful in the world, together with the ones from Le Burg/France, which look quite simiilar. Posted: Oct 06, 2009 05:29 Post subject: Re: For the fluorite lovers: What are your favourite localities? Someone can help and take charge of this thread? Posted: Oct 06, 2009 08:20 Post subject: Re: For the fluorite lovers: What are your favourite localities? Jordi, I don't know that we really need to organize this or necessarily to "vote" on which are the 5 or 10 best localities--it has just been interesting to share comments and perspectives, and some new photos, on what the favorite localities are. Posted: Oct 06, 2009 08:38 Post subject: Re: For the fluorite lovers: What are your favourite localities? Correct Pete, but following the initial idea of Tobias I believe that we can do both things and organize something more extended. I had a talk with someone who generously will take on charge it, to see what happens. Posted: Oct 06, 2009 09:34 Post subject: Re: For the fluorite lovers: What are your favourite localities? In Scandinavia we have a couple of fantastic fluorite localities as well, but most collectors never saw the best, as they are to be found in only a handful collections in the world. 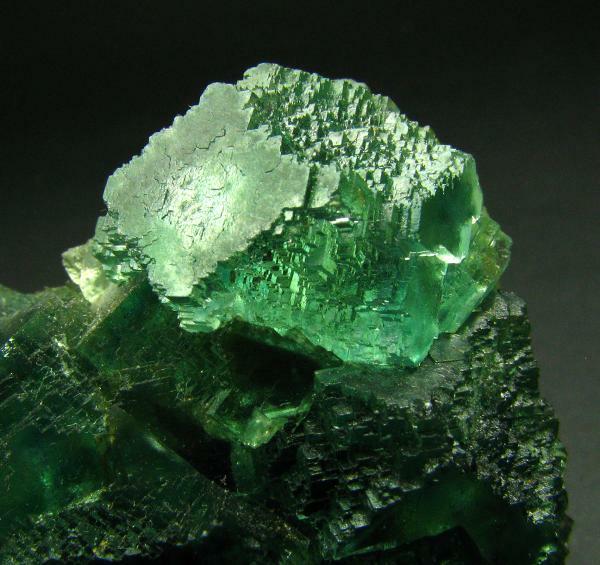 Sweden: The Malmberget Mine, Gällivare, Lappland, Sweden produced perhaps the finest real emerald colored gem fluorite octahedrons. Crystals in general 1-3 cm in association with quartz crystals, stilbite xls , chalcopyrite xls, calcite xls, hematite xls and on. These came from upper part of the mine, now mostly collapsed. The best pocket was discovered in 1982. Another pocket delivered light ice blue octahedrons on quartz w brilliant chalcopyrite crystals. I have a couple of the very best in my collection. Very few collectors know of these and unfortunately there are very few specimens. Norway: Kongsberg silver Mines, Buskerud Fylke. No mineral colelctor could be unaware of the magnificent wire silvers and crystals from here besides many other species. 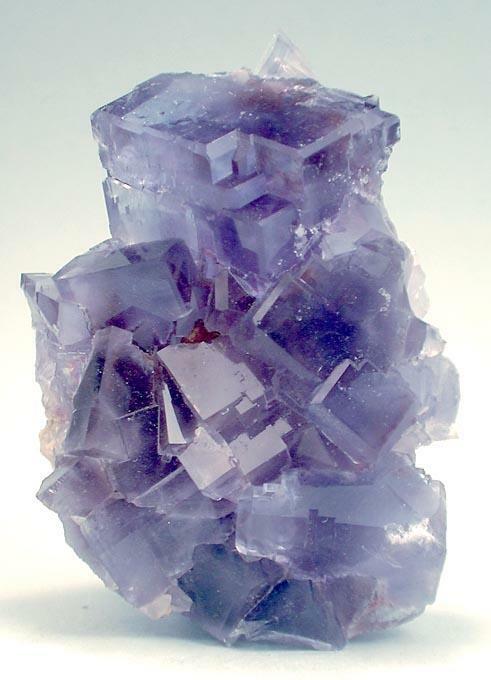 A few pockets of superb fluorites have also been encountered during mining. Shapes are from razor sharp octahedrons with edhe length to 10 cm to more complex forms and one rare interpenetration twin on calcite. Colors range from colorless to green to blueish and deep purple. Most good crystals are in European museums. Booth these localities would classify among the top ten if judging quality (not quantity). Chumar Bakhoor, Sumayar, Gilgit district, Northern Areas, Pakistan (as you all know also superb pink cubes! and spinell law twins as well as conbination xls occur) Largest pink flawless gem crystal was never shown ! and is "unknown". Massif du Mont Blanc, France: Worlds finest RED fluorites to 15 cm besides marvelous pink octahedrons. Zingenstock-Gerstenegg-Sommerloch in the AAr massif of Switzerland. Pink and green octahedrons on clear and smoky quartz. Cubes, interpenetration twins: England: in the northern Pennines also the Heights Mine (quarry) and the Blue Circle Cement Quarry.